.....these are a kind of portals, postern-doors, outer rooms, back-rooms, and passages of speech which may serve indifferently for all subjects: such as prefaces, conclusions, digressions, transitions, etc. 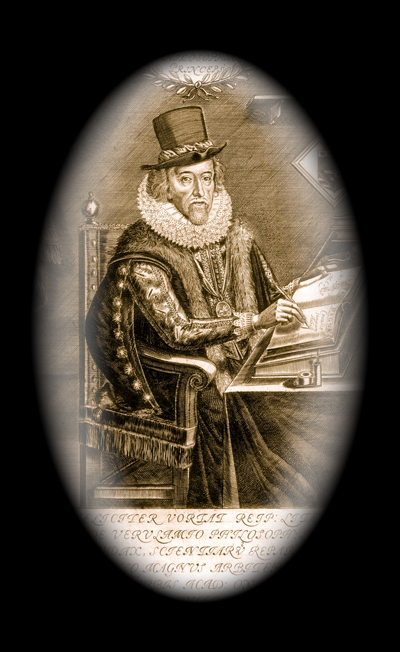 Bacon may have dictated a collection of lesser forms for prefaces, or dedications to the published material his group processed. When manuscripts were ready for publication, if Bacon did not have time to write a custom made preface, an assistant could sort through the collection and selected one that seemed appropriate for the work being published. )Smedley called these devices, light A and dark A devices, and the designation has stuck, although as anyone can plainly see, the light and dark characters in the device above have two cross-bars instead of one, as it does in almost all of the variants. Smedley attributed this device to Francis Bacon also. Around 1592 Francis addressed a letter to Lord Burleigh, his uncle and Lord Treasurer, asking his aid, and saying playfully that if Burleigh would not carry him on he would become some sorry book-maker. If Bacon was, indeed, behind the publication of the various books marked with these devices, he must have become a phenomenal book-maker, for around 600 books from his era are marked with one or the other variants of the device, of which there are more than 20 variants, and at least 75 books are marked with the Archer Device. 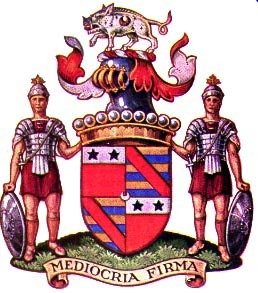 What not mediocria firma from thy spite? Since "Mediocria Firma" clearly identifies Francis Bacon, then John Marston clearly believed Francis Bacon wrote Venus and Adonis as Joseph Hall apparently did also. 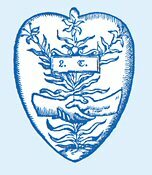 But John Marston was not just any Johnny Come Lately.In addition to being prominent among the writers of the time, he was also a member of the Middle Temple which was closely allied with Francis Bacon's Gray's Inn. Smedley provided plausible evidence to support his claim, and Baconians have tended to support his theory.On the other hand, the evidence is only circumstantial, and as a result, open to rebuttal. 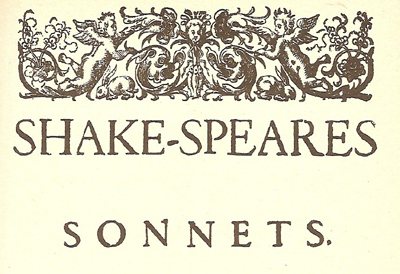 However, one book from the period clearly links Francis Bacon to the "light A, dark A" device, as well as to the Archer Device, and to the device which appeared on the 1609 Shake-Speares Sonnets. 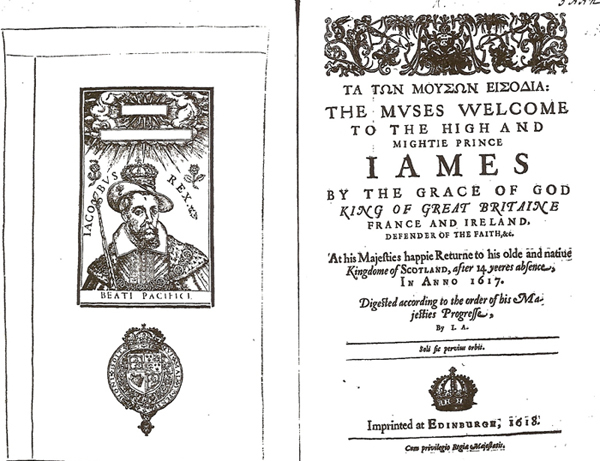 In 1617 King James returned to Scotland and spent several months touring his old kingdom.He named his Lord Keeper, Francis Bacon, regent of England during his absence.So while King James was gone Francis Bacon effectively ruled England. The book does not show the name of the printer.And although the title page says it was printed at Edinburgh, this cannot be taken at face value. Also, a customary feature of books of that time was a dedication at the beginning of the book signed by the author. 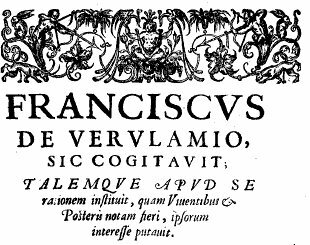 This particular book had a page, following the title page, with the name Ioannes Adamsonus, who was supposedly the author, the I. 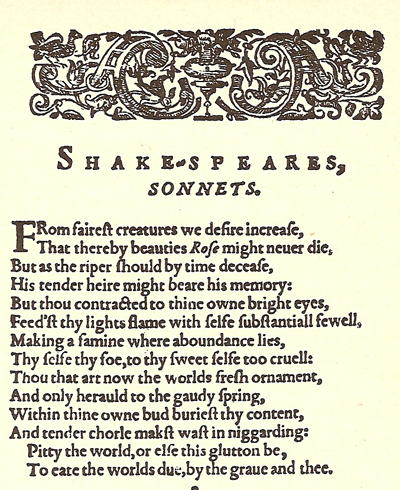 A. on the title page of the book. Yet were fair lies, & he the same right fairlie [fairly] did maintain." Now let's put this in perspective. In his own time John Marston, and Joseph Hall both recognized Francis Bacon as the author of Venus and Adonis. In 1867 twenty-two old manuscript sheets, folded in half for binding and enclosed by another sheet to provide a cover, were discovered by James Spedding, the noted authority on Francis Bacon, in the London House of the Duke of Northumberland. 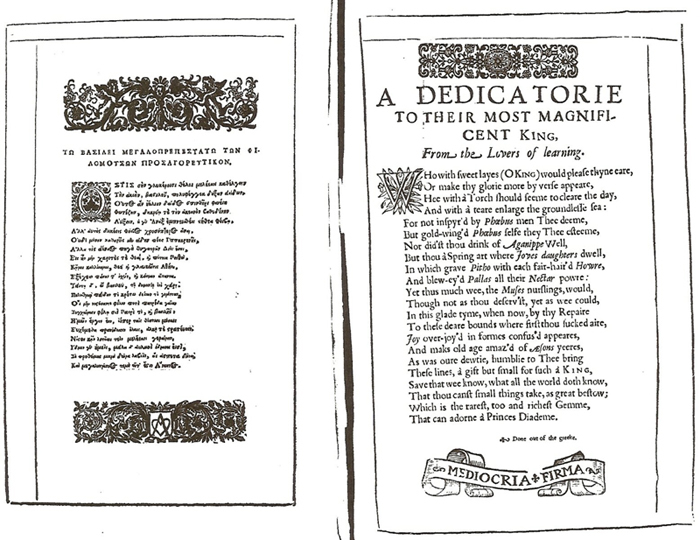 Spedding concluded the manuscript had been the property of Francis Bacon since his name was on the top, right-hand side of the cover, and most of the writings in the list of contents on the front of the cover were his. It is obvious that these papers were material from Bacon's Scriptorium where he was producing material to be sent to the printer.Here we see Bacon in his proper milieu at work behind the scenes, as the all purpose wordsmith producing written material for the upper crust, and for various other purposes, "Earle of Arundell's letter to the Queen" "Speeches for my Lord of Essex at the tilt," " Speech for my Lord of Sussex tilt" and the "Orations at Graies Inne revels." But the really interesting thing about the Northumberland Manuscript is that among the works in the list of contents on the cover sheet were two Shakespeare plays,- Richard the Second, and Richard the Third. 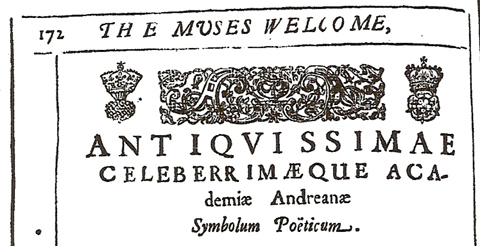 And, lastly, The Muses Welcome, as well as including information that definitively demonstrates the book was the work of Francis Bacon, has the devices that appeared on the Sonnets of 1609, and the First Folio of 1623. Now might be a good time for the Stratfordians to throw in the towel and publicly acknowledge their error. Not that I think they will, but as time goes by, things can only get worse for their camp. And it is not as if they can be blamed for this error. After all they have the best excuse in the world--- they are stupid. My God, I must be a Stratfordian!